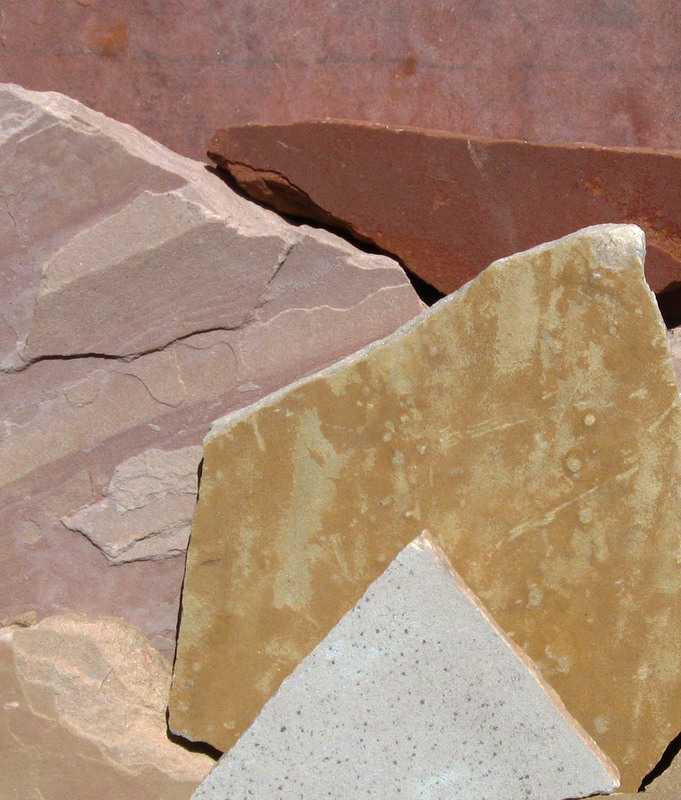 The corollary to the East Coast Connecticut Blue, is our West Coast Arizona flagstone. 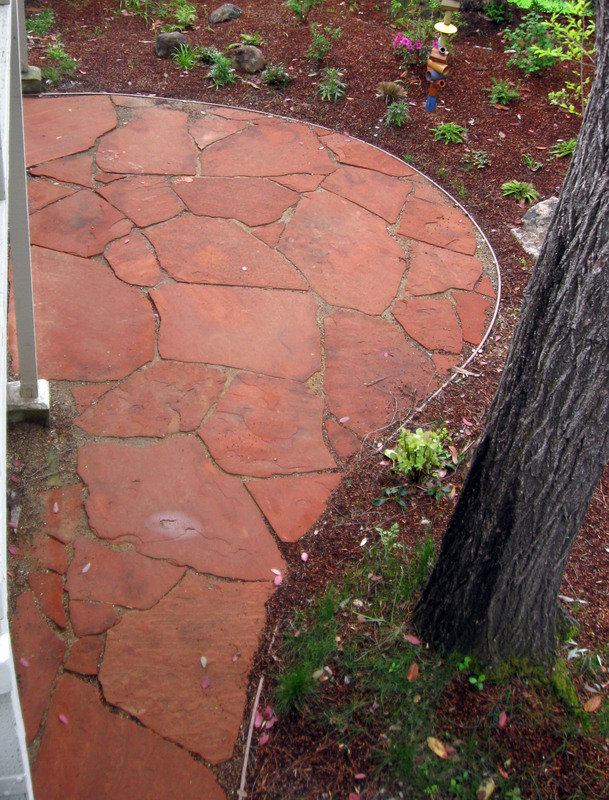 It’s sort of the ubiquitous, default flagstone of Bay Area gardens, but I’m always happy to use it. It’s easy to work with, and I like the color range, with each of the colors having a slightly different feel. 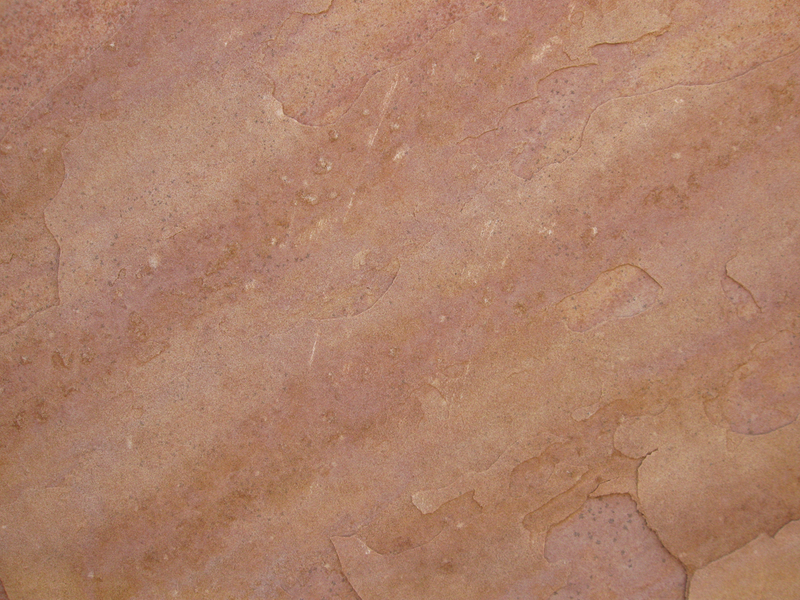 Oak is the hardest; Buckskin and Peach are the nicest to work with; Sedona Red is the lowest quality, the one to avoid. Peach is probably my favorite, though in the Bay Area it tends to gray over time if it doesn’t get a lot of sunlight and air circulation or if you don’t put a sealer on it. 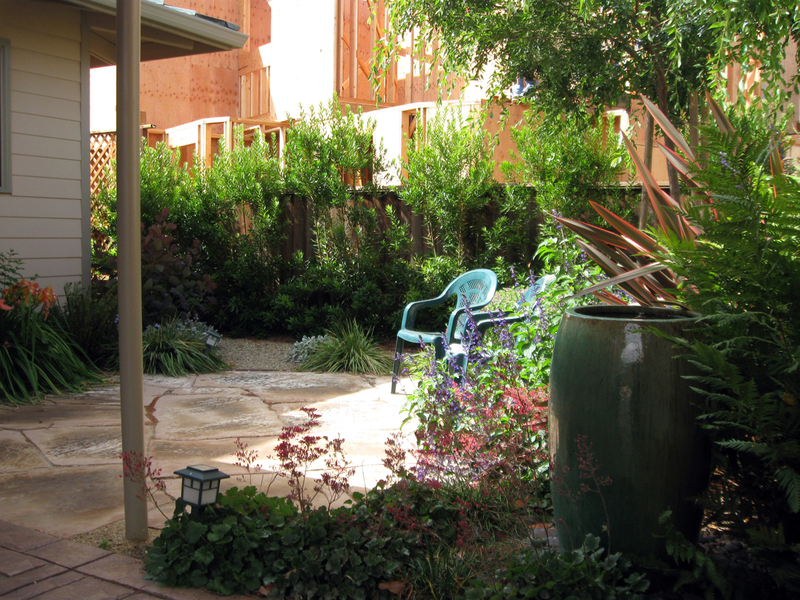 I showed the photo of this patio once before, but here are a couple of more photos. The plants have really filled in around it. The Pacific Wax Myrtles are eight feet tall now, three years after planting as five gallons. I think they’re going to lose the race with the workers constructing the McMansion next door, but they should provide a good screen fairly soon. 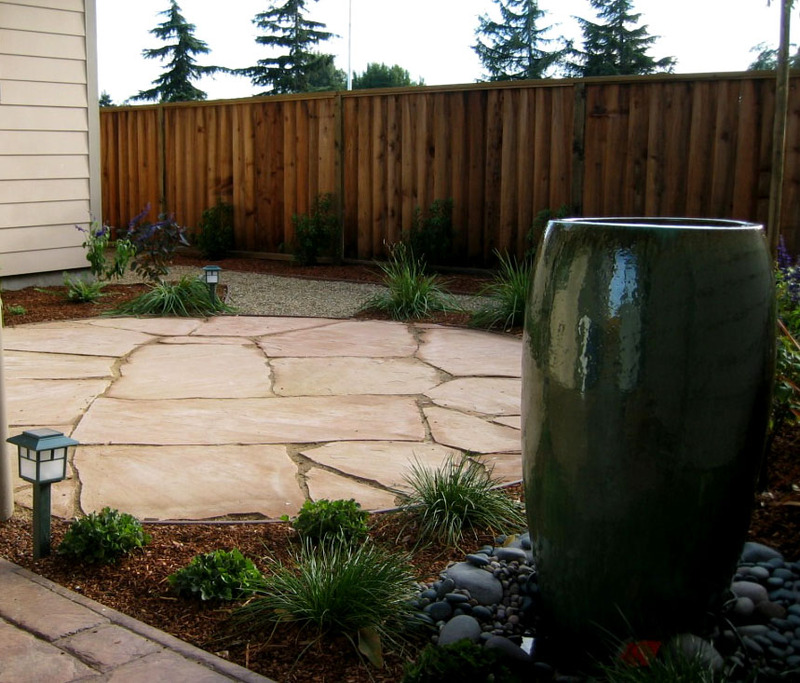 Last month I went back and built a second patio with the leftover stone and another new pallet of stone. 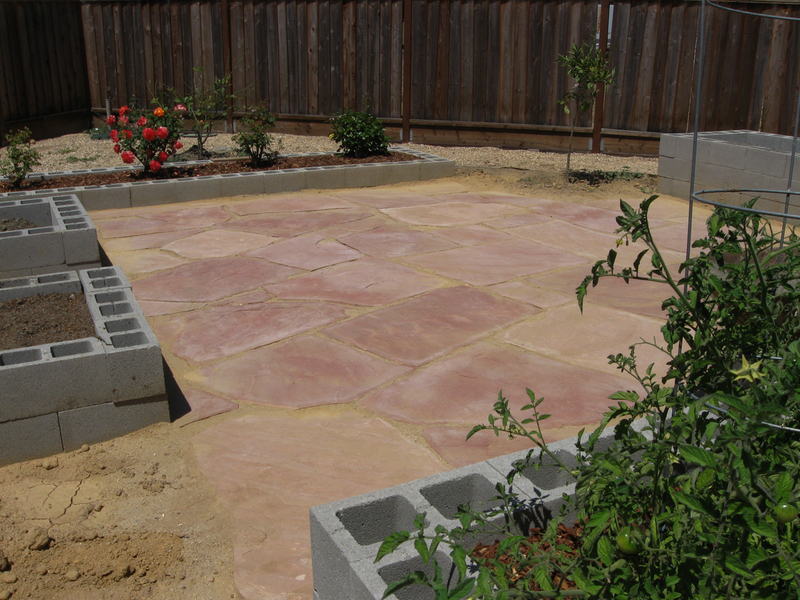 The cinder blocks are new veggie and flower beds that the clients are building. I think the block will eventually get mortared and stucco’ed. 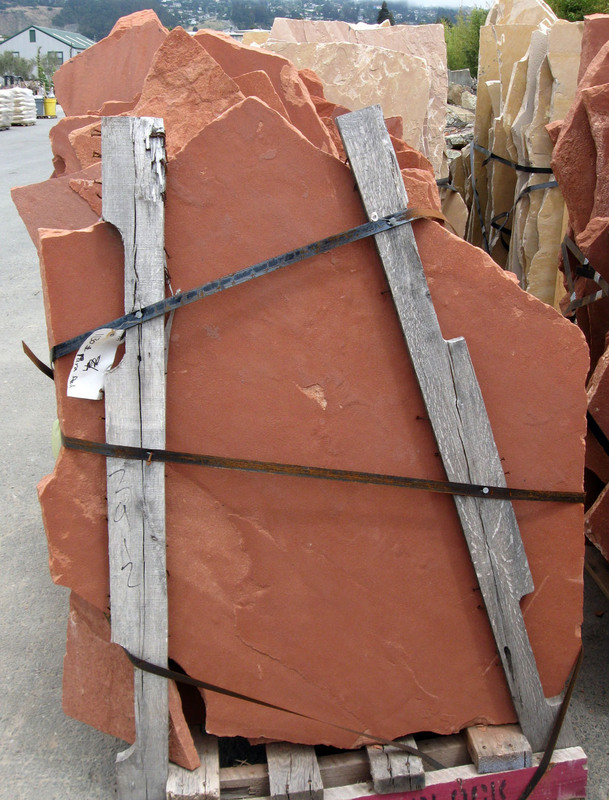 Sedona Red is by the far the softest, weakest, crumbliest of the Arizona flagstones. My parents house was the only place I’ve ever used it, and I hope to never use it again. 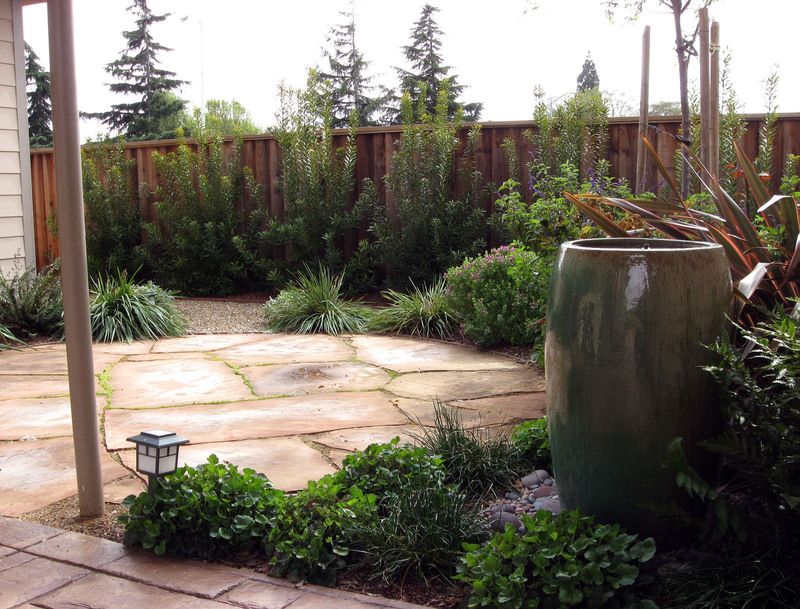 Fortunately, the patio is mostly to be seen and is rarely walked on, so there haven’t been problems with cracking. This is a photo of it in its first year; I had some nice photos of it this spring with a ton of crocuses blooming, but those photos were lost when our laptop got stolen. If the crocuses do their thing again next spring, I’ll swap this photo out for a better one. 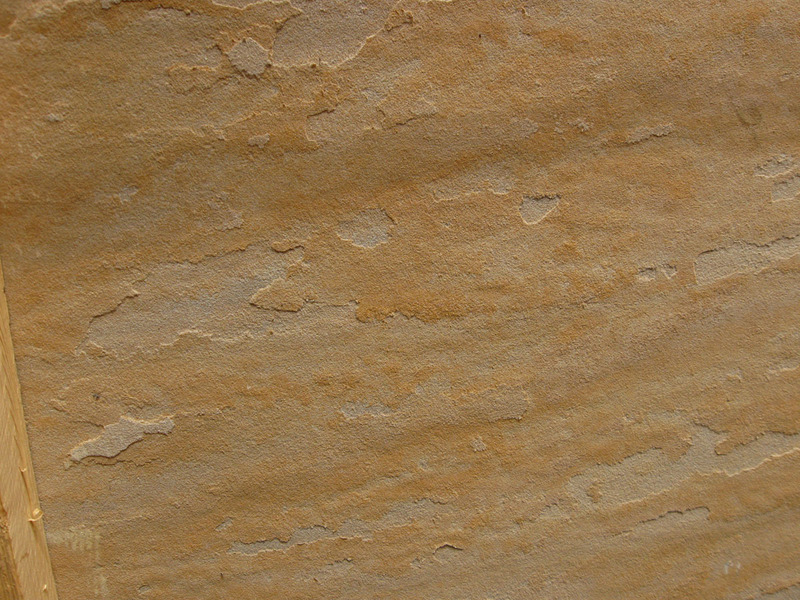 You don’t really want sandstone to be this striated; it’s often a sign of how weekly bonded the layers are. 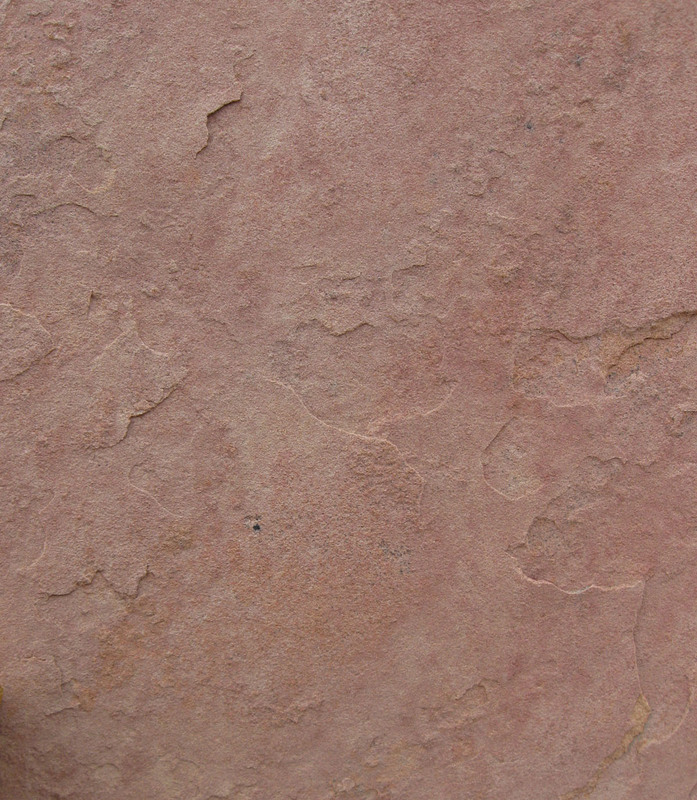 With other Arizona sandstones, the striations are not nearly as distinct. 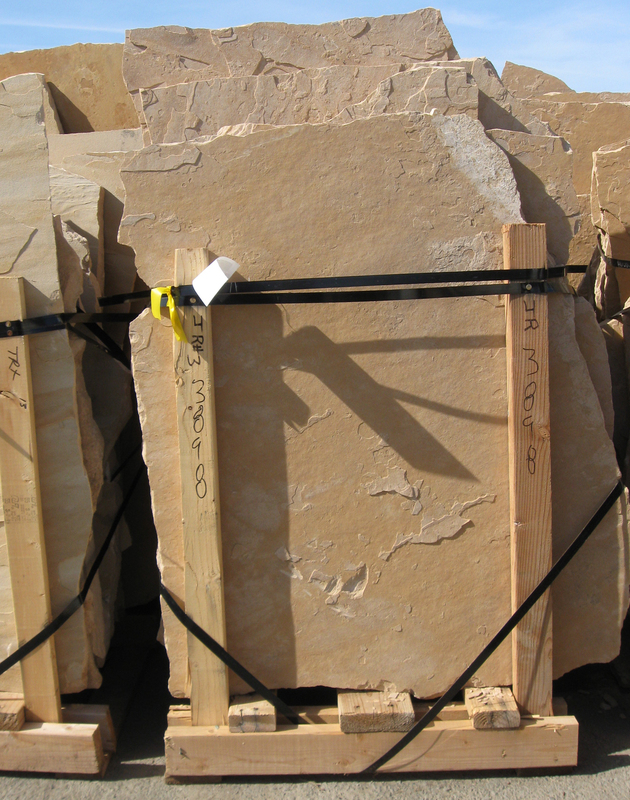 I have a few more photos of palleted stone below, similar to what you would find at the stoneyard page, but not so tiny. Actual colors of course vary. The stoneyard used to have two different varieties, Peach and a a darker one, McRosa, but both varieties came from the same quarry and I guess it became a nuisance to sort them by color, so now they just sell them as a single variety, Rosa Peach. You can still find lighter and darker pallets if you hunt through the stacks. Usually, though, I pick the pallet based on how thick and solid the pieces are, and sometimes based on the overall geometry of the pieces. Buckskin has more yellow than Buff, but they usually look very similar after they’ve been in the ground a while. This entry was posted on Monday, August 2nd, 2010 at 10:25 am and is filed under flatwork, stone. You can follow any responses to this entry through the RSS 2.0 feed. You can leave a response, or trackback from your own site. There’s a new stoneyard a couple miles away that I’ve been meaning to check out. This’ll give me some things to keep an eye out for. My first reaction is to go gaga over the color of the the red, so thanks for your comments on what a bad choice it is. And I guess I’d never use it anyway because my yard came with what feels like acres of brickwork. That would make the house redder than the surface of Mars. My mom didn’t want anything pink or yellow. She’s really happy with the Sedona Red, so maybe it’s not so bad. I just can’t get over how soft it was. 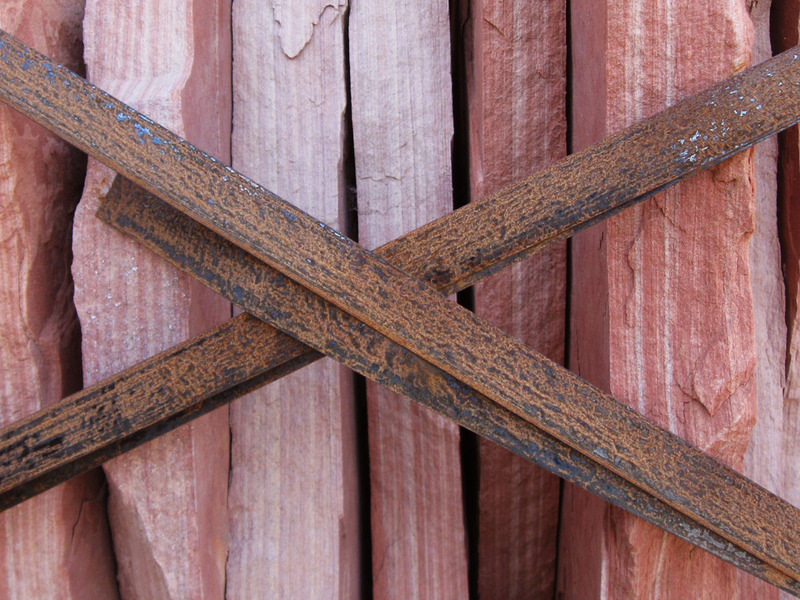 We have a stone called Mahogany Red that looks really nice beside brick. I built a short section of path with it this spring, but the good photos of it (also with crocuses blooming) also got stolen with our laptop. 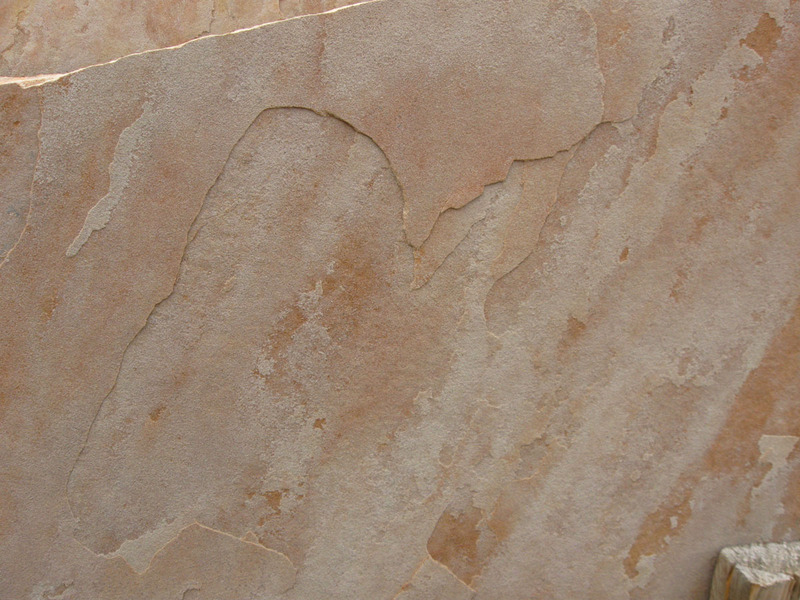 The stone has a mix of gray and rust tones, really nice. 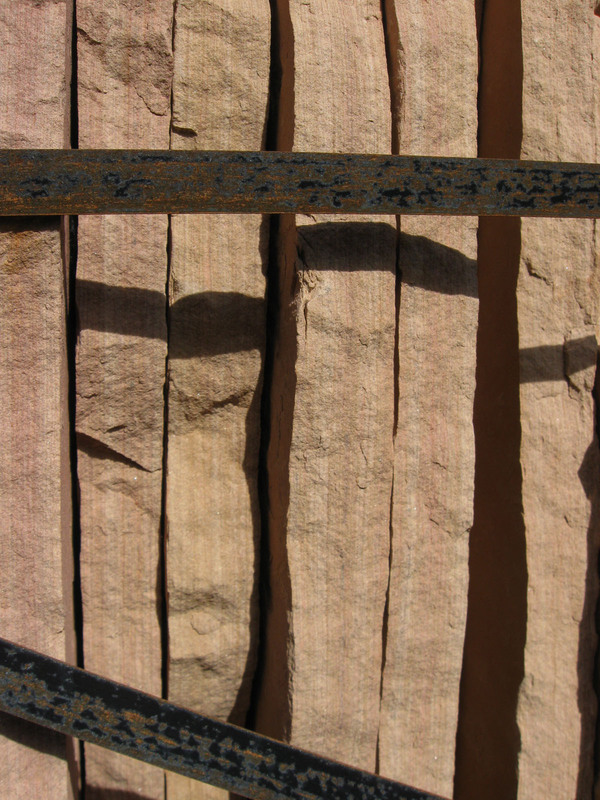 Great post… beautiful stone (colors!!) and your work is stunning. I love seeing the plants growth over the years. Lovely! Very nice, I like the peach aswell, and the oak. I can see why you are not a fan of the Sedona Red. Do you know how I could get this in Maryland, zip code 21921. 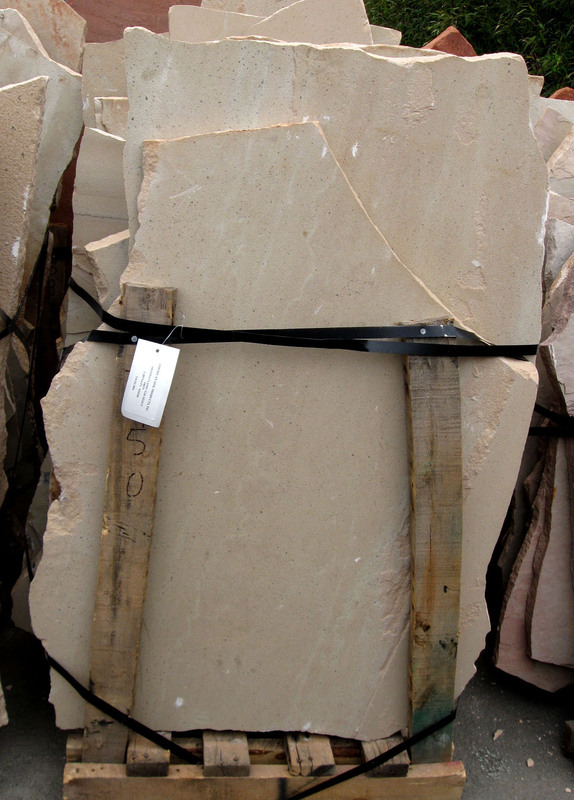 You could try contacting Lyngso or American Soil and Stone, the two suppliers I use. They might be able to have something special ordered and shipped to you. Good luck.